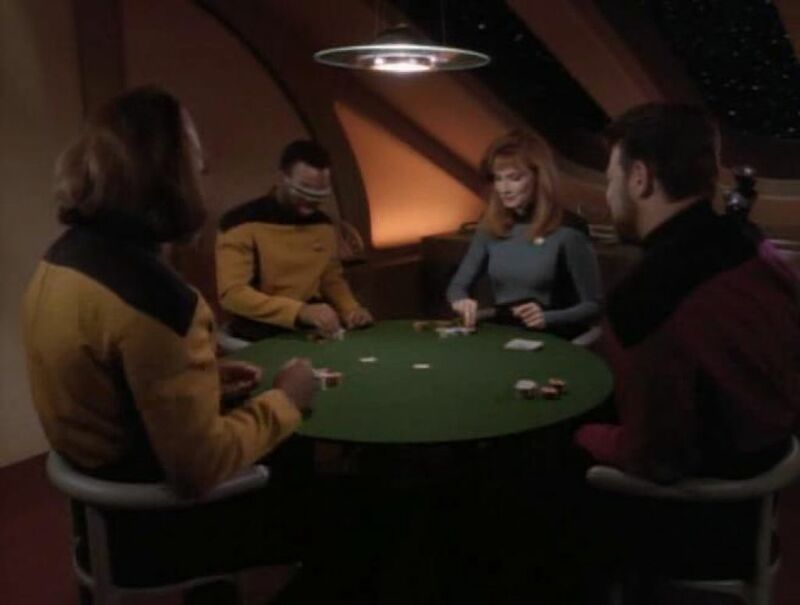 TNG is a show that has a wealth of interesting stories, and a host of skilled actors to populate them. 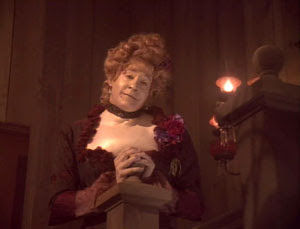 We've waxed rhapsodic many times on the talents of the main cast, but I wanted to take this time to discuss the guest cast, and ask the question - who are the top 5 guest stars in TNG? By guest stars, I intend to exclude "Regular" guest stars, such as John De Lancie as Q, Dwight Schultz as Barclay, Majel Barret's Lwaxana Troi, and so on. To me these are recurring guest actors, as opposed to guest stars per se. No, Mr. Sheffield... I expect you to die! Captain Picard is gravely injured on an away mission, and his artificial heart is severely damaged. 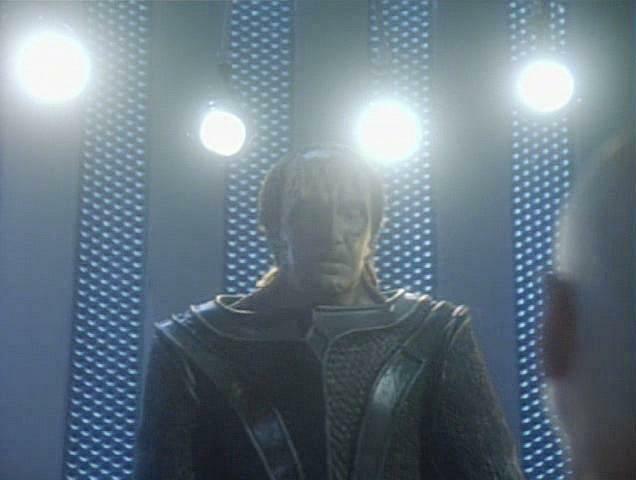 He wakes to find himself surrounded by white light and face to face with Q, claiming that Picard is dead, this is heaven, and Q himself is God. 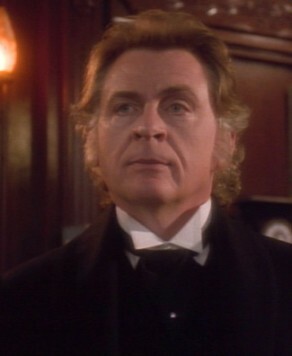 Q offers the captain a unique chance: to go back and correct the mistake in his youth that caused him to need an artificial heart in the first place, and save his life now. Will Picard take it? What will the consequences be? "I've only got an hour left on my medication, baby. Let's get bizz-aay." When Counselor Troi wakes up on a Romulan Warbird and discovers that she has been surgically altered to look like a Romulan, she must piece together her situation, improvise in front of hostile Romulan soldiers, and simply try to survive. Ensign DeSeve would have stayed with the Romulans, but he wanted to go back to his neighborhood barber in Scranton. The Enterprise is sent to resupply a subspace relay station on the Klingon border. When they arrive, they find the station abandoned and evidence that at least one of the station's two crew members met with foul play. Trying to gain any insight into what happened, Geordi begins reading through the crew members personal logs. He discovers a charming, if not eccentric woman. When she is discovered alive in a shuttle in Klingon space, Geordi must face the possibility that woman he has started to fall for is a murderer. Aquiel hopes her irresistible allure will counteract the ugliest bedspread in the quadrant. 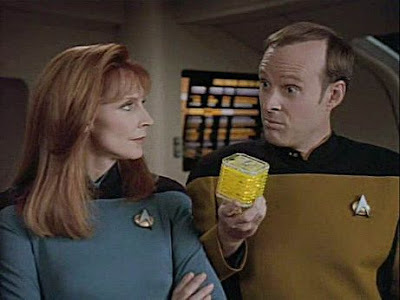 Dr. Crusher remains unimpressed by Barclay's cube. "Chain of Command, Part 2"
Captain Picard is being held in Cardassian custody, facing torture. 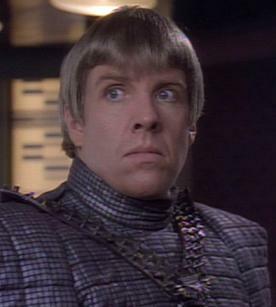 Captain Jellico is staring across the negotiating table at Gul Lemec and the prospect of war seems increasingly more likely. So, just another lazy, kicking-back-with-a-Samarian-Sunset kind of a day on the Enterprise. "Chain of Command, Part 1"
While Picard, Crusher and Worf are called away to a commando mission on the Cardassian world Seltris III, the Enterprise is turned over to a new Captain, Edward Jellico. But the tension caused by his abrasive command style soon seems like small potatoes when the commando mission goes awry, and questions soon abound over whether the participants are dead, wounded, or perhaps worse. 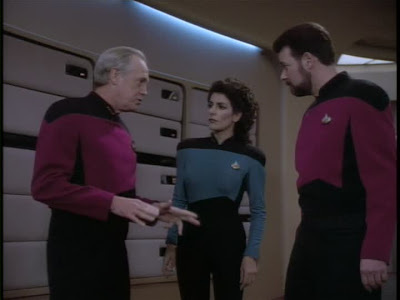 Captain Jellico prefers a certain formality on the bridge. So do we, Counselor, so do we. The classic JLP double-facepalm about two thirds of the way in is well worth the investment of your two and a half minutes. For a slightly more sober take, check out our post relating to same. The Enterprise is at Tyrus VIIa investigating a new mining technique, the particle fountain. The project has been plagued by delays and setbacks. The lead scientist, Dr. Farallon hopes another invention of hers, the Exocomp, will speed up the process. When one of the Exocomps overrides its programming to avoid being destroyed, Data begins to suspect the devices are more than merely intelligent, but possibly alive and sentient. Is it possible Data has found a kindred spirit, or is it the android equivalent of wishful thinking? Let's talk about beards, gentlemen. Surely this will segue nicely into whatever our adventure is this week! While the Enterprise awaits a rendezvous with a cargo vessel, the crew has a chance to unwind. Alexander, Worf, and Troi run into trouble, however, when their holodeck program of the Ancient American West is disrupted by the unannounced presence of numerous bizarre facsimiles of Commander Data. Oh, that wacky Brent Spiner. He can do no wrong... right?